1. The younger you start potty training, the longer it will take and the more you and your child will suffer through the process. 2. Potty training fails when it starts during a major transition, like when starting a new year of school, having a new baby, or moving into a new home. 3. 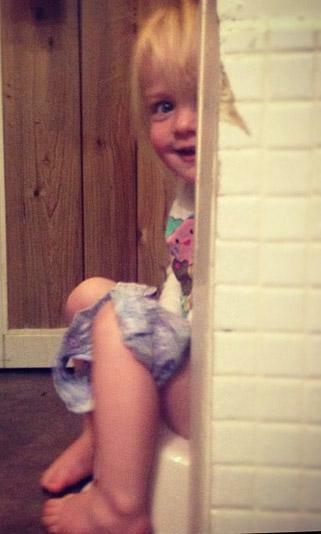 Girls tend to potty train faster than boys, and the first child usually takes the longest. 4. Potty training will likely take a couple months, and then your child will make it through the day without a diaper. Night-time potty training takes much longer, sometimes half a year to a full year; other times, it will take some tries and then going back to the drawing board several months later. 5. Boys start potty training sitting down, not standing up. This is to help with the mess, but also to get them comfortable with the seat and help them be patient while sitting and waiting for a pee or poop to happen. 6. Kids who see their parents use the potty on a daily basis will usually have an easier time learning how to do it themselves. 7. Most kids will have several accidents before they master potty training, and your job as a parent is to keep your cool and not get frustrated. And that's not easy! Here are five tips to help speed up potty training. 1. Read to them while they sit on the potty. Not only is reading beneficial for your child in general, it also does a great job of distracting them from the potty training. When we were potty training our kids, we would load them up with apple juice and then about 10 minutes later sit them on the potty and read them a book. It doesn't really matter what kind of book you read them, as long as it will keep their attention for a while. This is a great strategy for the first several times on the potty when you really want to be patient and just let them learn the concept. The first few times nothing may happen until you give up and put the diaper back on, but then suddenly after a couple tries it will happen and you both will be very excited about the big step of making a first pee-pee (or poo!) on the potty! 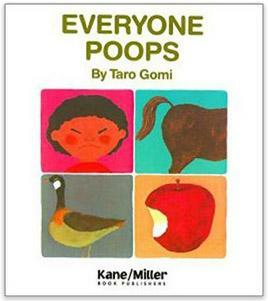 There are some cute books that cater specifically to the potty training topic. Some of course are for parents (see the best ones here) but the cutest ones are for the kids. Below are six of our favorites! 2. Get the right equipment ready before trying to potty train. There are a ton of great potty training products on the market, many of which will be extremely helpful during the process. We suggest you do some research on potty chairs, toilet seat covers, step stools for the potty and sink, and some extra containers of Lysol wipes to help clean the floor and toilet! Messes will happen, and you'll be prepared. In terms of toilet seat covers, there are many options that are cute, fun, comfortable, and easy to put on and take off. For boys, you want a toilet seat cover or potty chair that has a splash guard on the front. When little boys have to go pee really badly, pee can shoot up at unexpected angles, so having an extra splash guard can save your floor and bath rug and keep cleanups to a minimum. Potty chairs are a great option if you're willing to spend a little extra on the potty training process. The potty chair is basically a miniature toilet that is the right height for your kid to straddle and sit down onto. One of the big hurdles for little kids is climbing up onto an adult toilet and worrying about falling in or off. A child's size potty chair gives a great boost of confidence, helps them feel like they have a special place to do their stuff, and makes it more likely that they will be able to use the potty without your immediate help. Once you have all the right equipment, then begin the journey. Don't switch things up after unsuccessfully trying. Instead, buy it and set it up first. Below is some of our favorite potty training equipment.